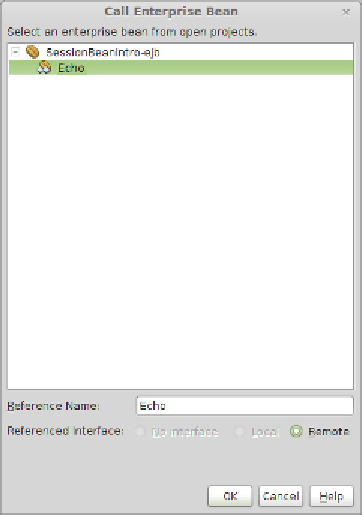 NetBeans, this is very easy. We simply need to right-click on the client code ( com. 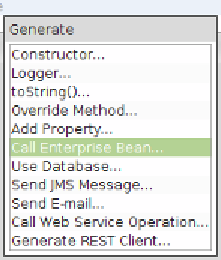 and go to Insert Code... | Call Enterprise Bean . to select the bean we wish to access from one of these projects.